And to that, I say “word.” I like a donut. My favorite is a plain cake donut (the “old-fashioned” as some shops call it), followed by a chocolate cake donut. Followed by a powdered sugar Entenmann’s or a cinnamon sugar from a cider mill. I could tumble down the donut hole forever or at least until we hit the jelly bellies (not a fan) or anything with coconut. What I don’t like is making donuts. I’m afraid of anything that requires 375-degree pots of hot oil. And, truth be told, my attempts have never been successful. They have been…indigestible. So what’s a girl to do on a morning when she wants a donut but certainly doesn’t want to go out? The Donut Muffin. Perfectly easy, perfectly tasty, and scratches that donut itch, well, perfectly. My first experience with the Donut Muffin was thanks to Marion Cunningham and her delightful, homey little tome, The Breakfast Book. 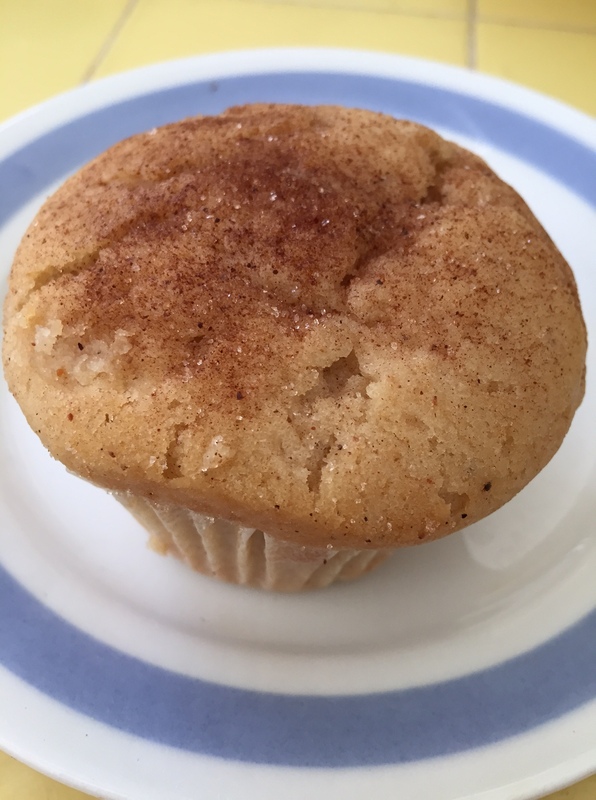 She didn’t call them Donut Muffins but the recipe, full of nutmeg and cinnamon sugar, offered the same flavor profile. I packed her book with the bulk of my cookbook library when I recently downsized my living space, so when I had a recent weekend craving, I had to work from memory. 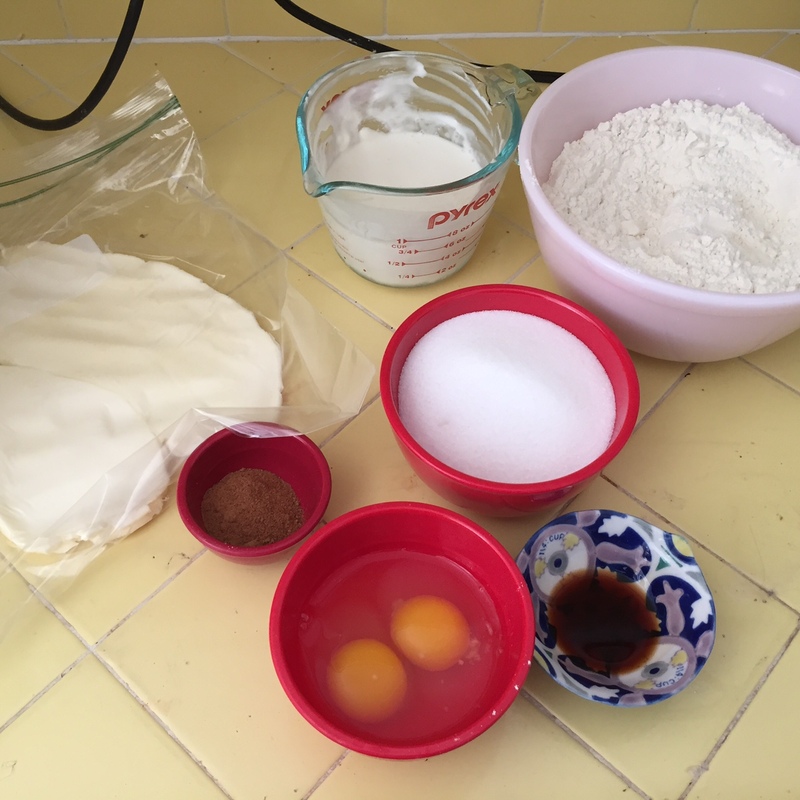 The following is my improvised recipe for Donut Muffins. On any given morning you can go donutty in less than an hour. 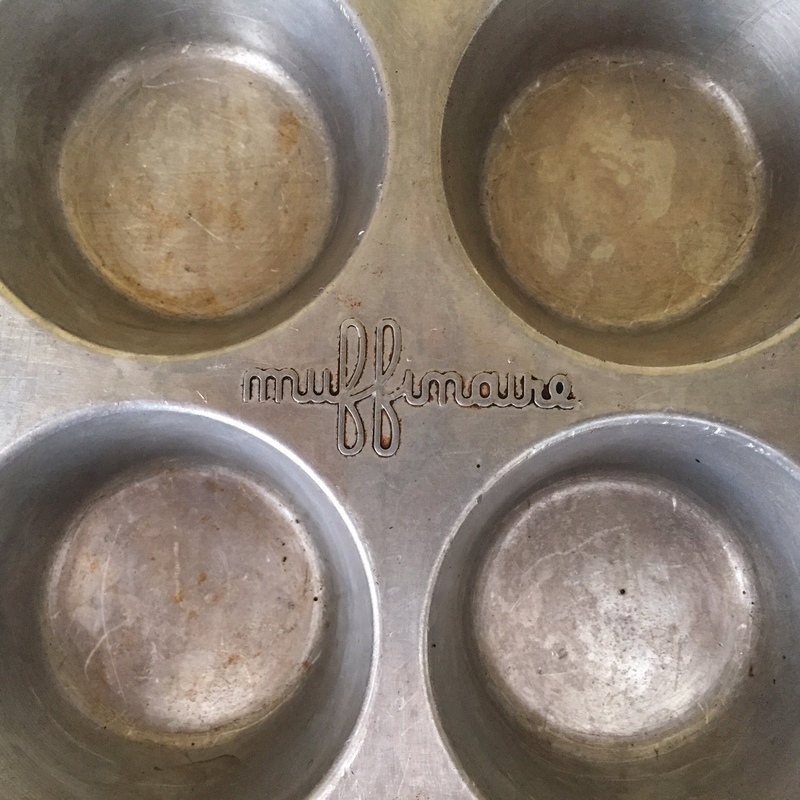 A note on tools: There are many muffin pans to choose from out there, some are even gold! Mine is my mom’s, simple aluminum, oft-used, much loved, with the way-cool name of the “Muffinaire.” I like any excuse to rock the Muffinaire, but I always use paper liners. That old aluminum is a mutha to clean and at least one muffin always sticks. Preheat oven to 350°F. 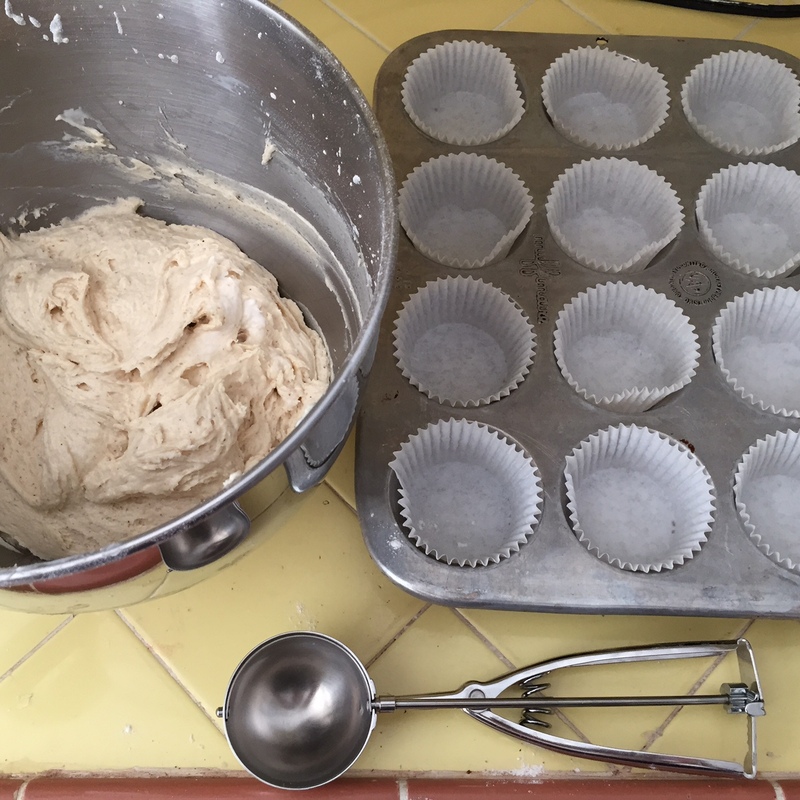 Line a standard 12 cup muffin pan with paper liners. Combine the flour, baking powder, baking soda, salt, and nutmeg in a bowl and stir with fork or whisk to combine. Pour milk into a 1 cup measuring cup. Spoon small dollops of crème fraiche into the cup until the volume reaches 1 full cup. Stir to blend. Beat the butter and sugar until light and fluffy. Add eggs, one at a time, until just combined. Mix in the vanilla. With the mixer on low, alternate adding the dry ingredients with the milk, one-third at a time, and mix until smooth and very thick. 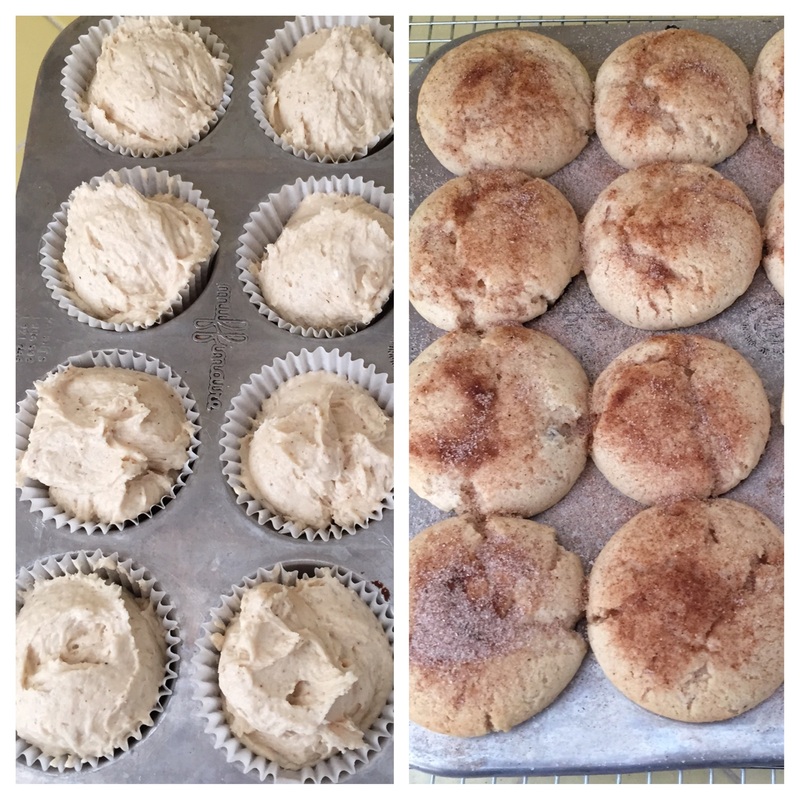 Using a medium ice cream scoop, drop dollops of batter into the prepared muffin pan. Let pan cool on a rack for about 5 minutes. Then brush each muffin with the melted butter and sprinkle with cinnamon sugar. Et voila! Donut cravings satisfied! These are most delicious when still slightly warm with, yes, some butter. But also great at room temp with a cup of tea or a glass of milk. They are best the same day, but can be frozen. Let defrost in fridge before a quick zap in the microwave. 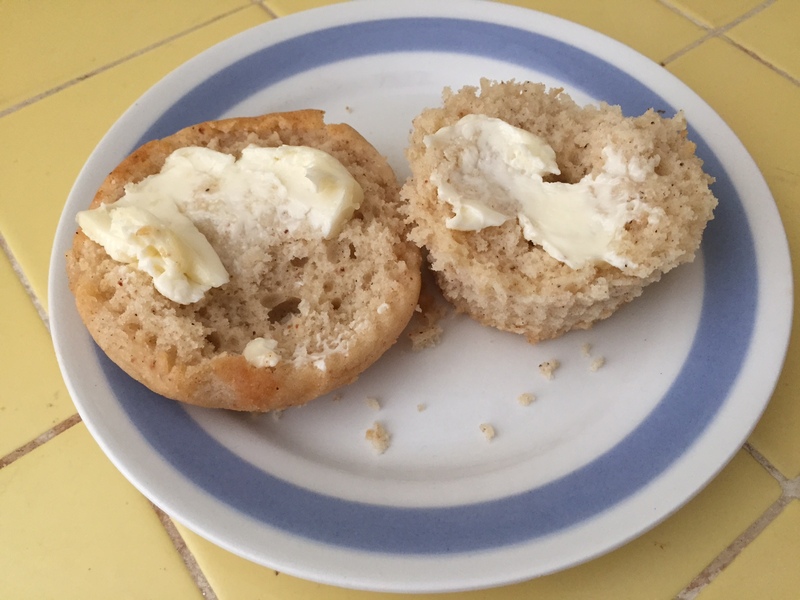 This entry was posted in Recipes and tagged donuts, muffins by Caroline Siemers. Bookmark the permalink.